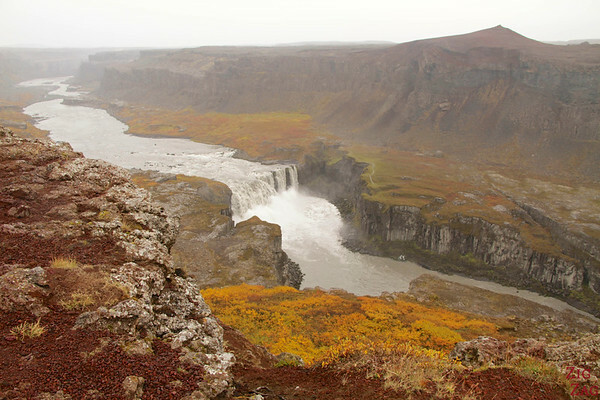 If you are on your way to admire Dettifoss and Selfoss, I strongly recommend the few extra kilometers to see the panorama view of Hafragilsfoss and its surrounding canyon. This was my favorite of the 3 waterfalls along Jokulsargljufur even though it is often overlooked by visitors. 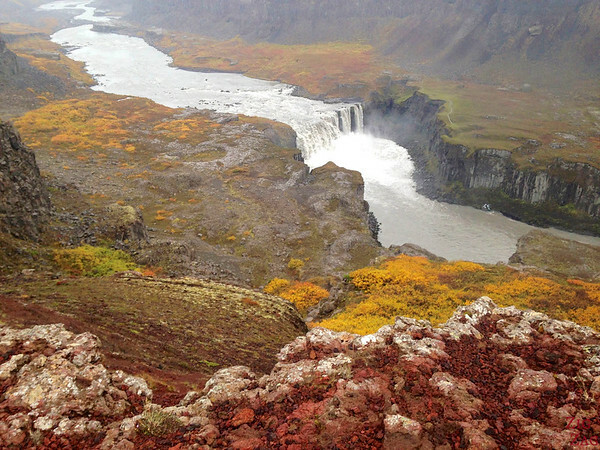 Jokulsargljufur is the largest canyon in Iceland. It is famous for being the home of the most powerful waterfall in Europe: Dettifoss. Most people drive from the ring road and admire this one and sometimes also Selfoss. However most do not drive the few more kms North to see Hafragilfoss. Guides say that it is less scenic but I disagree. Hafragilfoss, was actually my favorite of the 3. You cannot get up close but you have a spectacular views of the surrounding canyons! 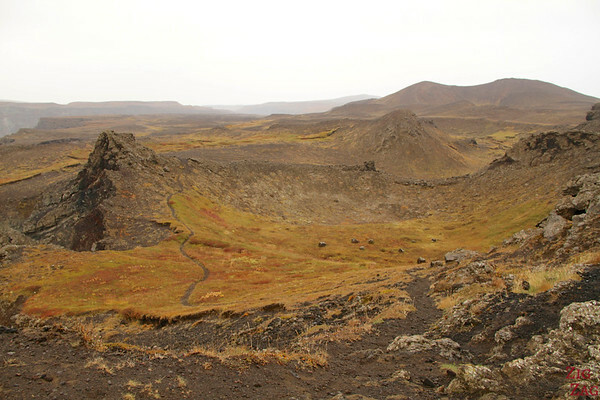 Hagragilsofss is name after the Hafragil ravine created by the Jokulsa river. The waterfall is 27 meters high (79 feet), 91 meters wide (299 feet). From Husavik, Head South on 85 and turn left on Road864 for 25km. Hafragilfoss will be indicated on you right. Apprently you can also see it from the West bank (road 862) but the view is limited. you have to hike down cord ladders tog et the incredible views. I cannot confirm. Hafragilsfoss is included in the Travel guide Experience Iceland that I wrote to help you plan your road trip around Iceland and make the most of your time. 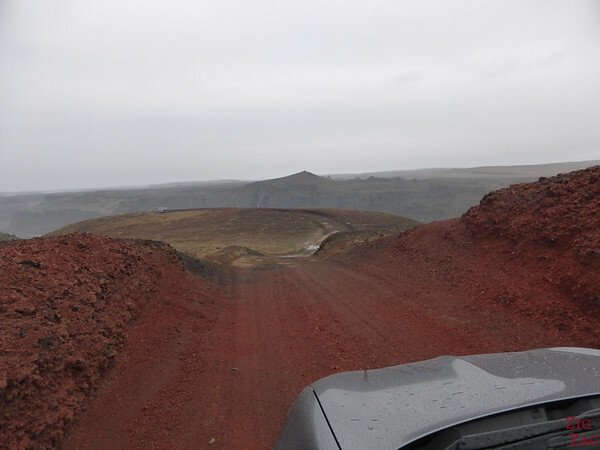 As I turned into to path to Hafragilfoss it was like I was trasporter to Mars. The ground turned red and with the low grey sky it felt surrual. The drive is short but not so easy with big blind spot. Luckily I did not have to cross another car. After a very short stroll I discovered the canyon and the waterfall. It is a very different experience from seeing the other waterfalls up-close. With Hafragilsfoss you realise the environment, the shape of the canyon and the creation of the waterfall. Plus as autumn was settling in I was rewarded with beautiful colours. I love how the water looks so calm upstream and downstream but rushes at the waterfall. 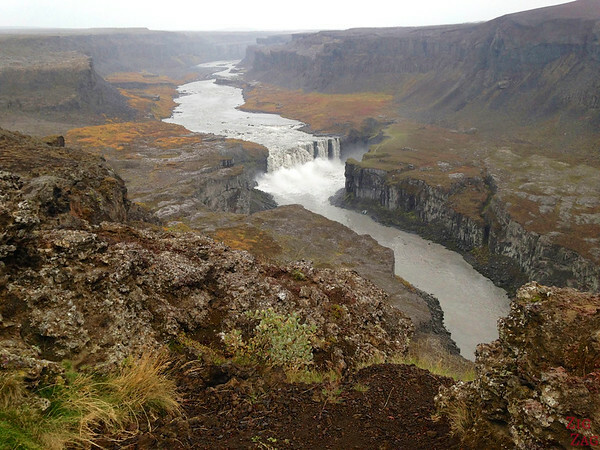 There is a path that goes all the way to Dettifoss and continues also North of Hafragilsfoss. I walked a little bit along it to get to other views of the canyon and the waterfall. We are renting a Kia Ceed Sportswagon (2 wd). and planning to drive from Husavik to Dettifoss. Thank you for the information about this falls. 1. Do you need a 4X4 to get to this waterfall ? 2. Is the waterfall close to the parking lot ? PS– Thank you for your website with all the detailed info and beautiful pictures ! This is not an F-road, so 4WD is not mandatory but it is not a smooth road. There are lots of holes. And if you are traveling in Winter I would not go.